It’s that time of year again. 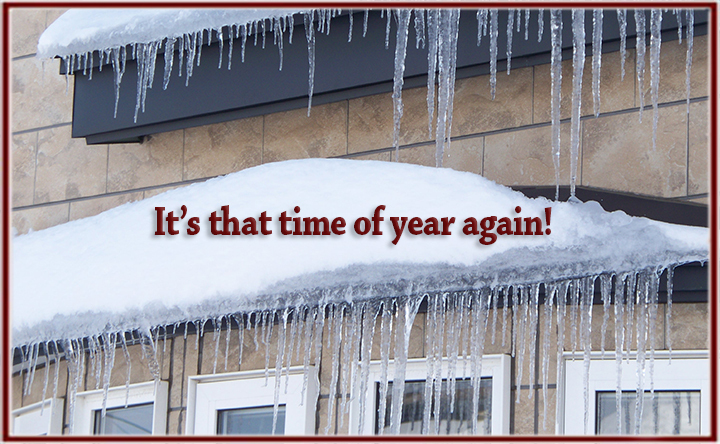 Prevent ice dam damage - Scarsdale Premier Insurance Agency | Advocate Brokerage Corp.
First there was the storm that wasn’t, Juno. Juno was followed closely by Linus, who blanketed our area with a few inches of snow. From the looks of early forecasting, we may get a few more inches headed our way next week. If you have concerns, questions or need to report a loss, please don’t hesitate to call Advocate Brokerage! You can reach us at 914-723-7100 or click here to go the Claims link on our website.